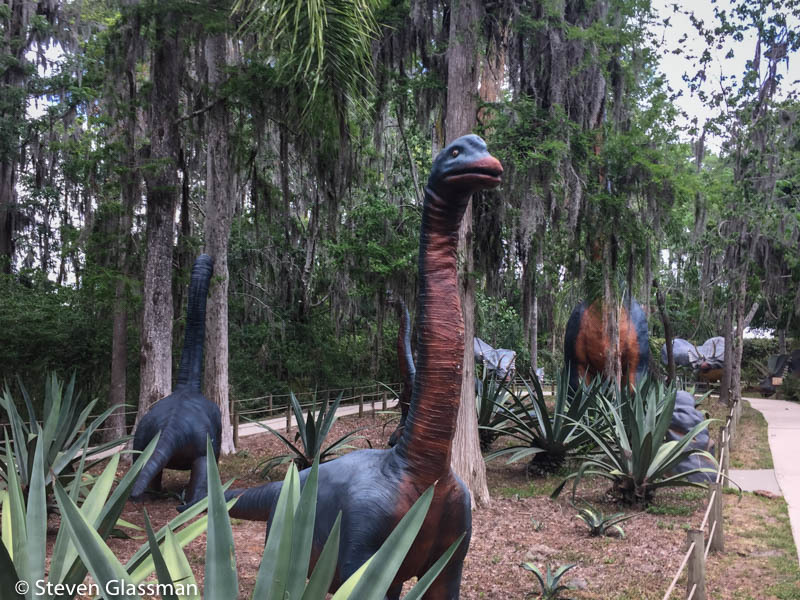 plant city – Sunshine. Whimsy. Tacos. The park itself is not terribly expensive, and it won’t take up more than a few hours of your day. 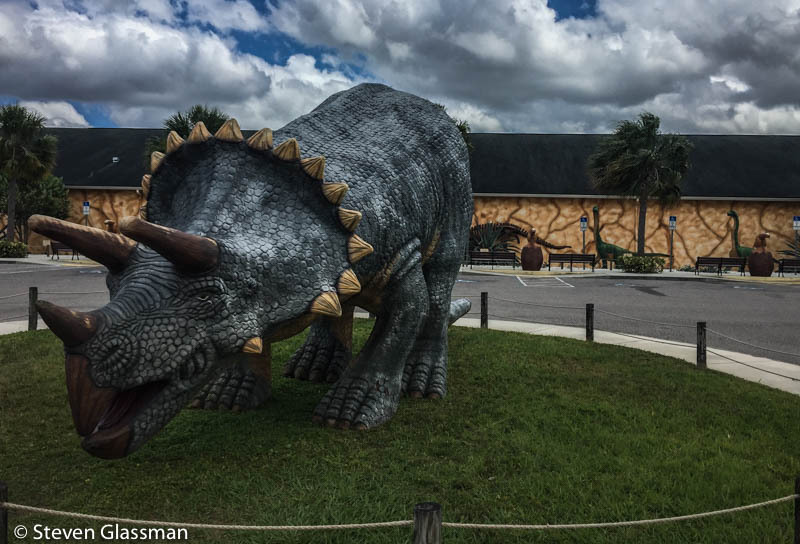 Even from the highway and parking lot, the dinosaurs are visible. This next picture was actually taken inside the restroom. I was super entertained that they even themed the bathrooms. 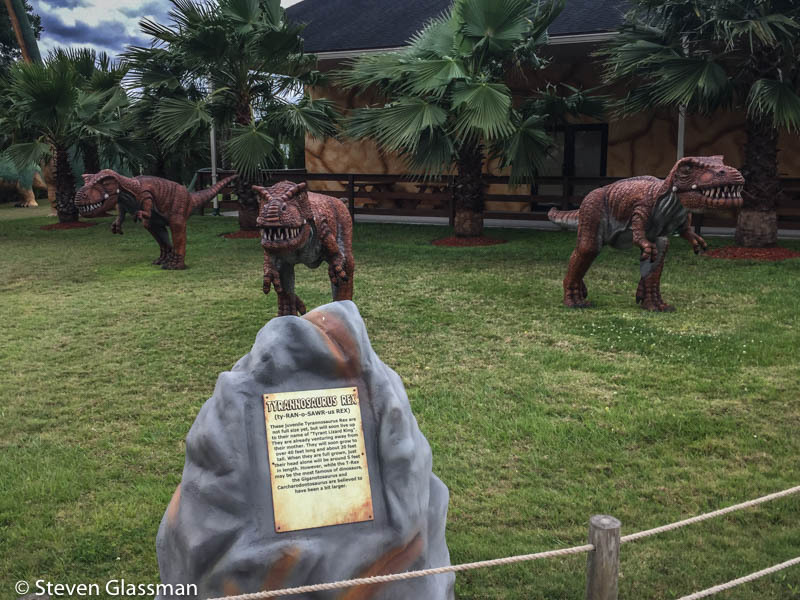 Wherever there are dinosaur sculptures, there are also educational signs explaining what you’re looking at. 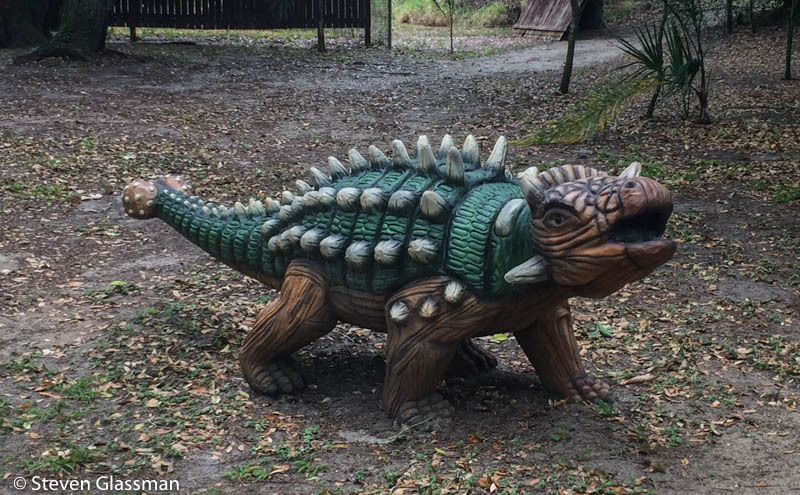 Some of the dino sculptures are just freaking adorable. There’s a mom-sized one to the left of this little fellow. 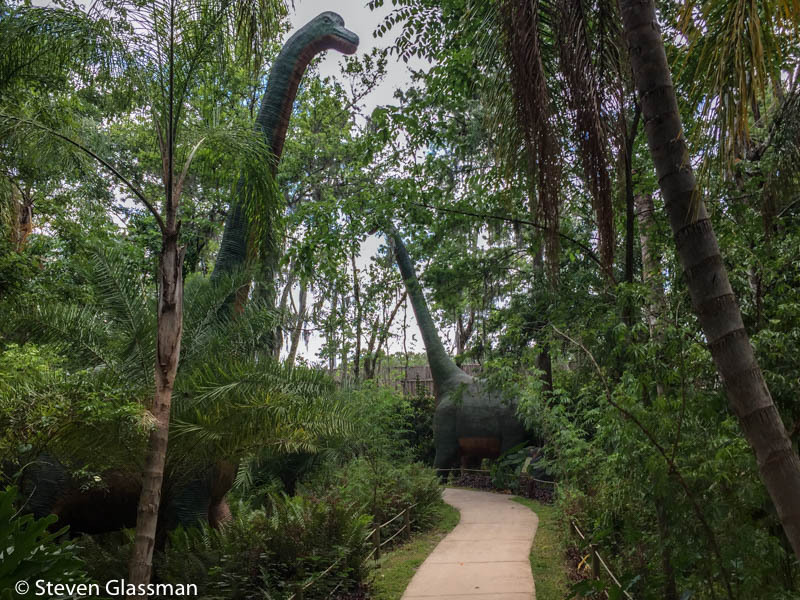 The walkways throughout the park are very nicely maintained, and there’s lots of shade. It’s actually a very pleasant place to stop if you’ve been on the road for a while. As with nature documentaries, however, there are occasional horror shows. 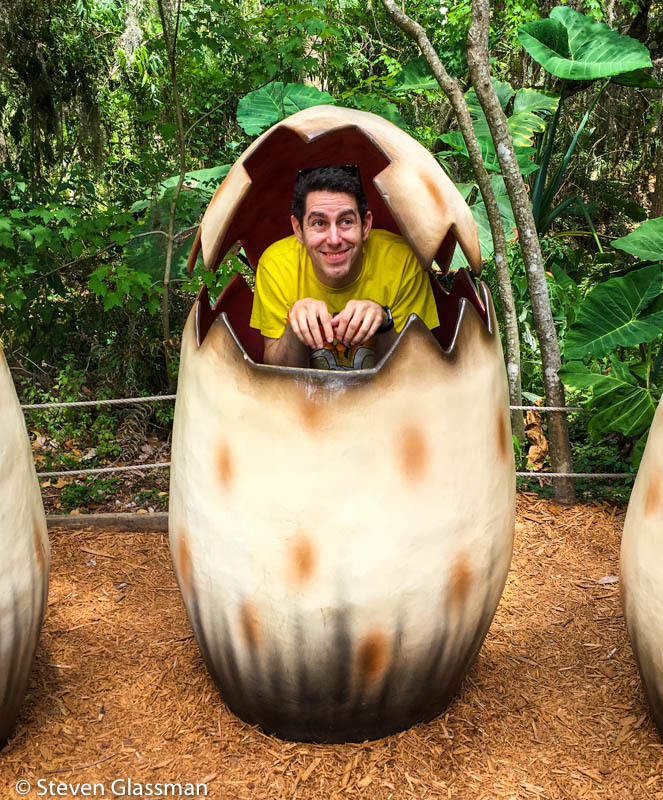 There are also numerous photo opportunities throughout the park, which led to one of my favorite recent photos of me. The sculptures are foam covered in fiberglass and then painted. 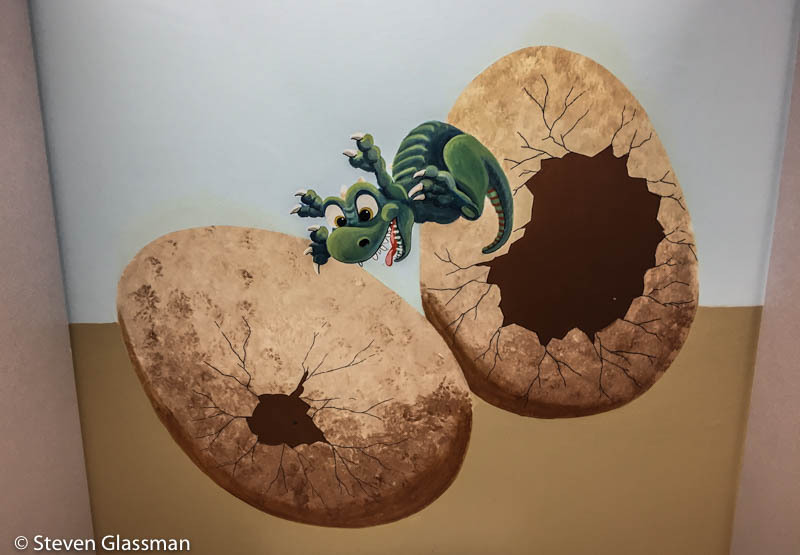 A few of them needed touch-ups to their paint but for the most part, the dinos were very well cared for. 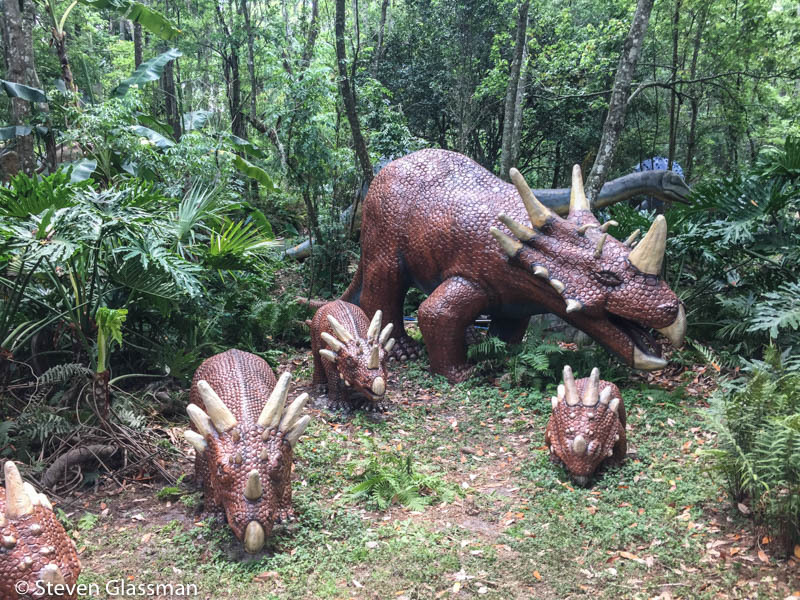 There were lots of little showcases throughout the park of dino family groupings. 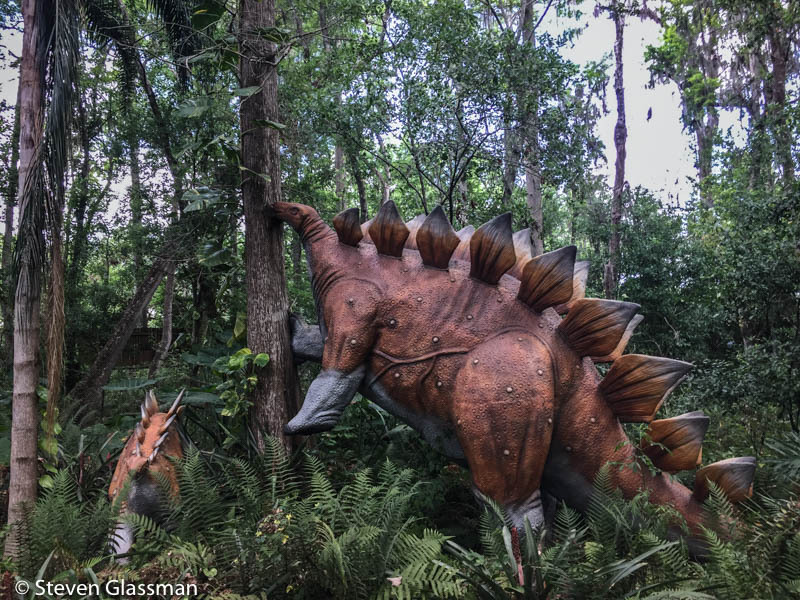 I particularly liked this one, because a) stegosaurus has long been one of my favorites, and b) it’s so cute when they stand up to get the tall leaves. 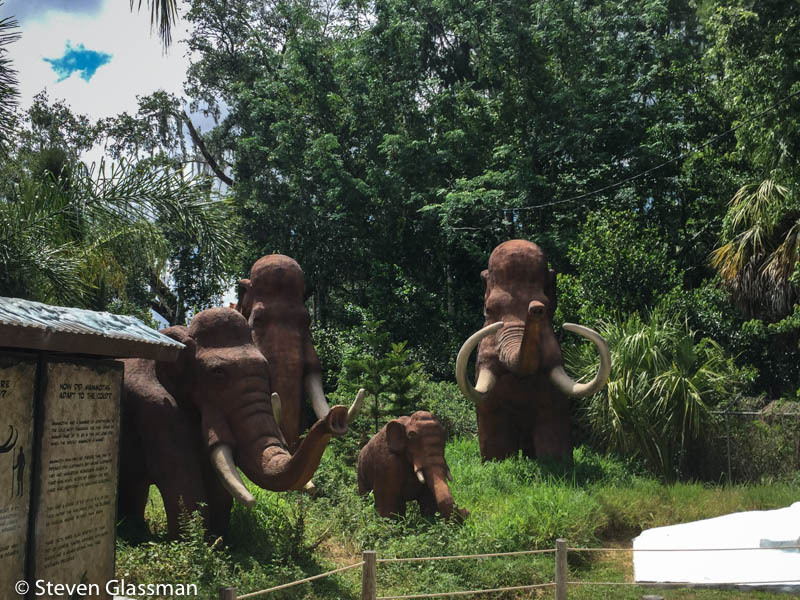 There was also a mastodon section, set away from the dinosaurs because chronology. 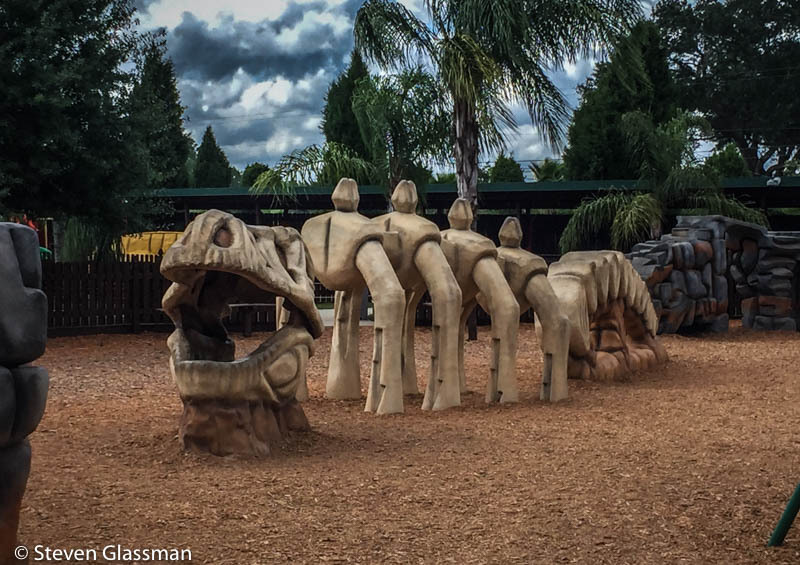 There was also a set of play areas for children, including a fossil dig and a boneyard that little dino-fans can climb through. I think there was a picnic styled area where you could bring a lunch, but I’m not positive about that. 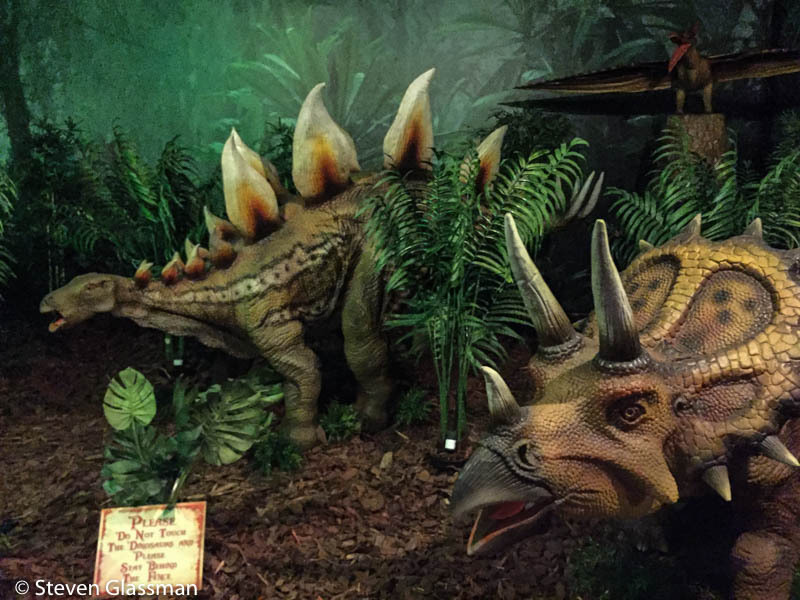 Near the main entrance, there’s a smallish indoor exhibit with a few animatronics. 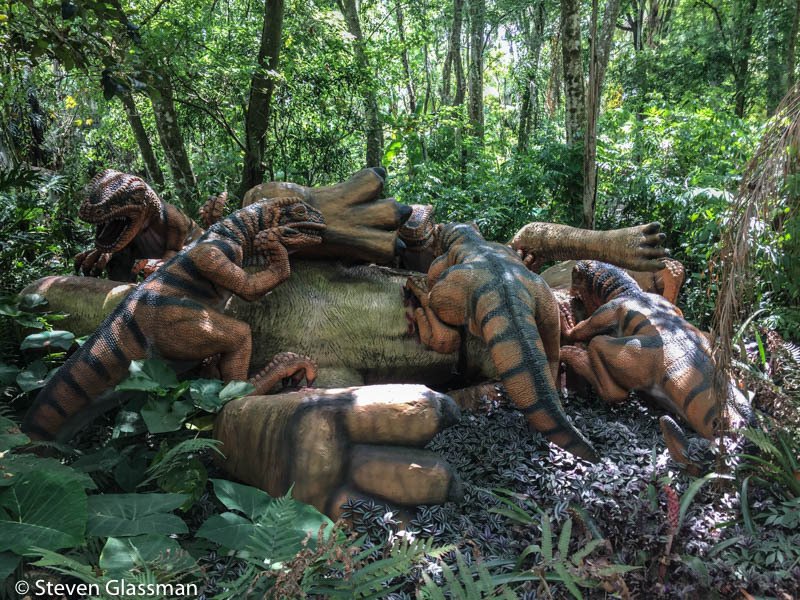 None of the outdoor dinos moved on their own, but this group did. 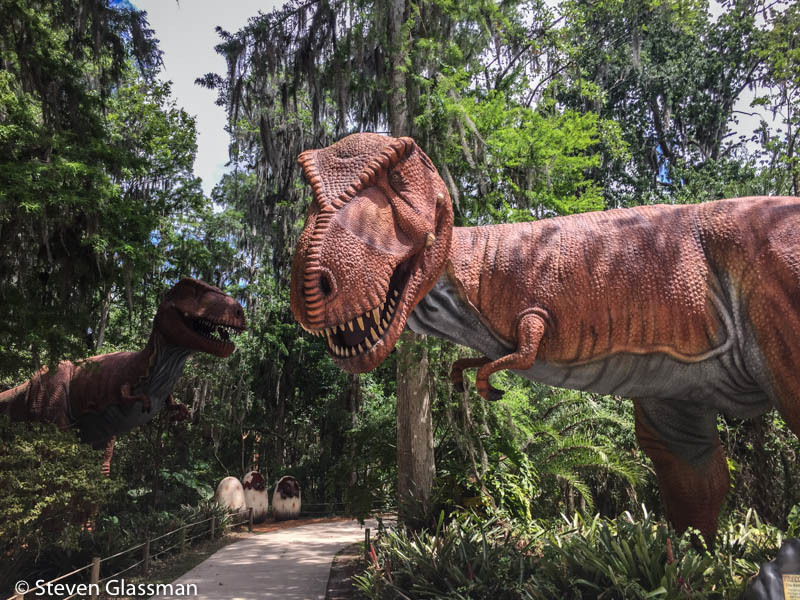 It just made me miss Universe of Energy more. 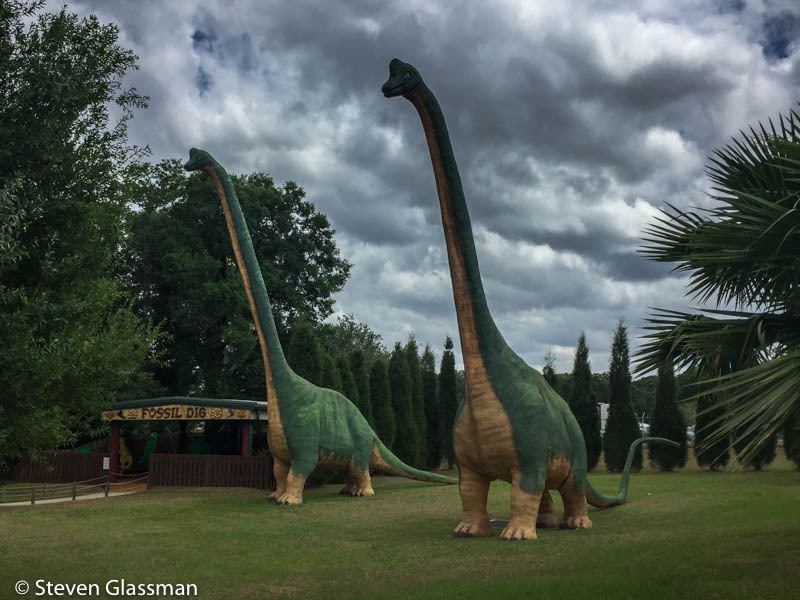 Have you ever been to Dinosaur World?